Hinson’s Tire Pros first opened for business in 1954. We are a family owned and operated automotive repair center and tire dealer that focuses on customer trust and safety. We are located at 839 Quintana Road in Morro Bay, CA and faithfully serve customers from Morro Bay, as well as the surrounding cities including Baywood-Los Osos and Cambria. 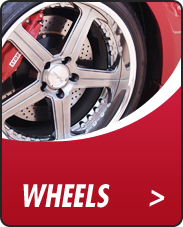 Hinson’s Tire Pros is 5 Diamond Tire and Automotive shop—the highest rating given by Tire Pros. We are also accredited by the BBB. As a tire dealer, we carry the industry’s best tire brands, like tires from MICHELIN®, General, Hankook, and Firestone. We are open Monday through Friday from 7:30 AM – 5:00 PM and Saturday from 7:30 AM – 12:00 PM. At Hinson’s Tire Pros, we never promise more than we can deliver, and we always give the customer more than they expect. Let us help you get your vehicle back on the road. Select one of our services or products that we provide below to get started.